Kabali fell on the face at the box office crushing all the hopes of the director Pa Ranjith and the Rajini fans. The makers have chose to delay the launch of teaser following the death of Kanchi seer Jayendra Saraswathi Shankaracharya. The movie will have a multi-star cast, including Nana Patekar, Huma Qureshi, Samuthirakani, Anjali Patil and Sayaji Shinde. Due to the demise of Jayendra Saraswati Shankaracharya, the head of Kanchi Kamakoti Peetham, the makers have made a decision to postpone the release of the teaser. Kaala is Rajinikanth's 164th film, set for a worldwide release on April 27. Fans are tweeting vigorously ensuring that Kaala keeps trending until the teaser has been released. However, the makers have released four new stills from the movie which make us curious for the teaser. 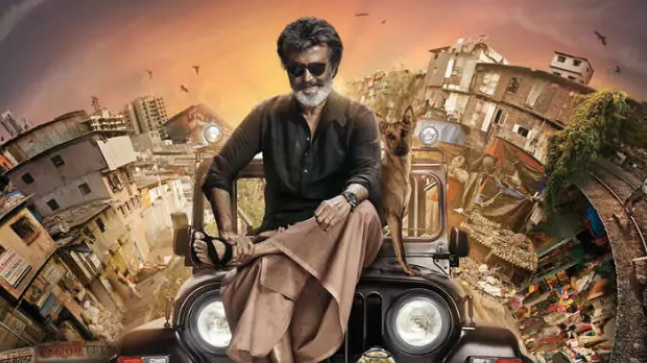 Rajini plays a Mumbai don in both these films, and a "Kaala" poster sees him patting a ferocious dog which was also done for the Suresh Krishna directed film 23 years ago. Earlier, Dhanush had taken over the social media as he revealed the first look of Rajnikanth from the film along with the release date. Dhanush's Wunderbar Films bankrolled Kaala which is now in final stages of post-production. Kaala will be released in four languages- Hindi, English, Telugu and Tamil. The clip is expected to revolve around the superstar's character in Kaala.